That’s right folks. I never saw this one coming! 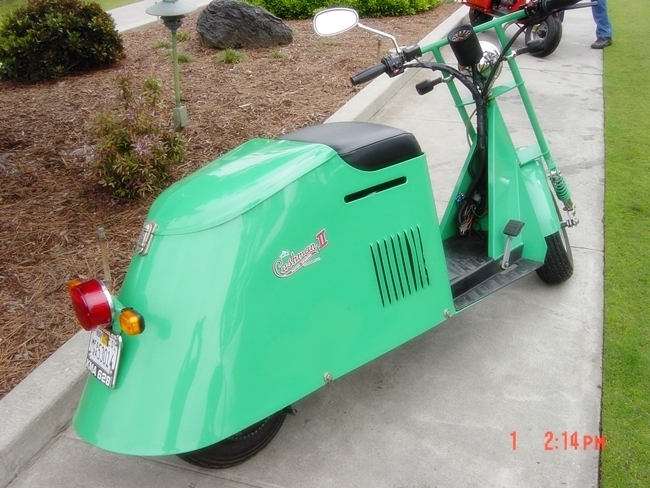 Cushman’s are being made again in the US, by K-Jack Motors in California. And they look pretty good too. Those that know their Lambretta history will know the original Lambretta’s owed more than a little to the Cushman, who were around since the early 1900’s… and their “Airborne” model scooter, dropped with US paratroops in Italy during WW2. 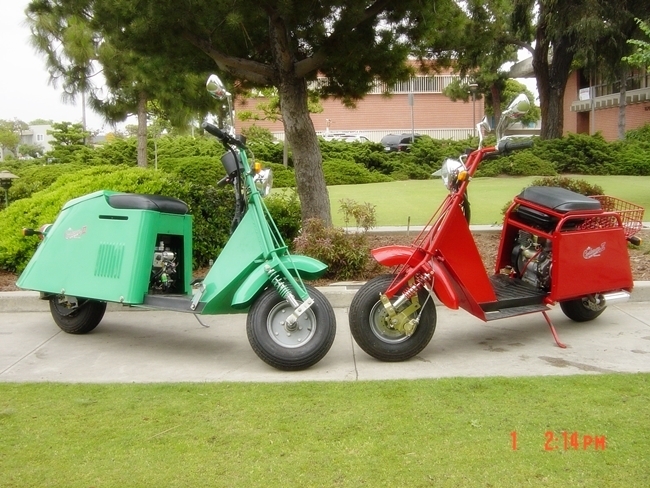 When Innocenti (and Piaggio) had to re-engineer their factories from making military vehicles and armaments, many regard the lightweight Cushman scooters as a spark of inspiration for both these companies. The rest is history. The two italian firms went on to dominate scooter production in the 50’s and 60’s, firstly in Italy, then Europe, and finally worldwide. Without the styling elan of the Italian models, the Cushman became regarded as a bit of an oddball… at least in Europe. Even in the US, Italian scooters were seen as sophisticated and cosmopolitan. But the world has changed… and in an era of generic, plastic scooters these re-engineered Cushmans have more than a little elan of their own. They are certainly stylish, and certainly look much more like the original Cushman than the new Lambretta’s… look to their predecessors. There are two models, (see EDIT / UPDATE) the Highlander and the Step Thru. Equipped with modern engines – up to 400cc, disk brakes front and rear, and an all steel frame, they are nippy, and sturdy too. The styling that I used to regard as laughably clunky and boxy now looks (to my eye, anyway) funkily utilitarian, and retro chic. 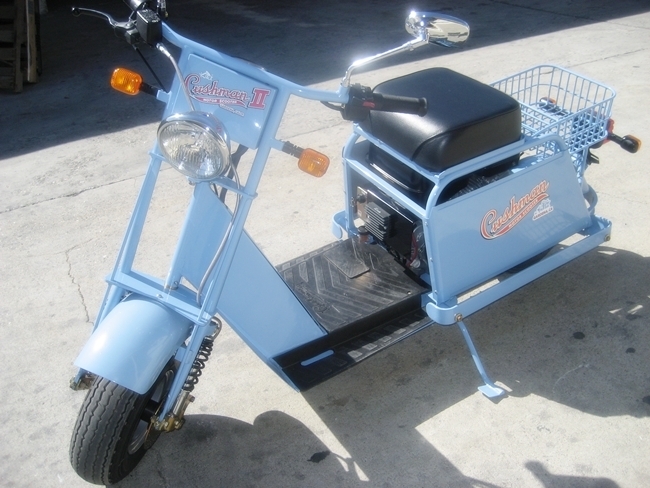 The day of the Cushman may finally have arrived! EDIT / UPDATE: Jack Chalabian of K-Jack has been in touch to tell me there are actually FOUR models of the Cushman II in the pipeline… the Highlander, Step-Thru, Eagle, and Trailster. They will have a 9 or 14 horsepower overhead cam engine with electric start in all the models. While trying (and succeeding, I reckon) to keep the original look with modern DOT requirements; they are compliant throughout the United States… including California. Find out more at the K-Jack Website, or Facebook page. This entry was posted in News, Not a Lambretta and tagged California, cushman, Highlander, K-Jack, oddball, retro, Step-thru, US, USA by crocodilejock. Bookmark the permalink.